What’s equally exciting and sometimes frustrating about Tokyo is that it’s a city with seemingly never-ending options and sense of possibility. 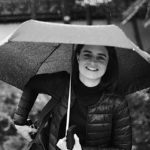 Whether it’s food, culture, art, history, shopping, or adventure you could conceivably spend your entire life exploring the city and never even feel like you’re going beyond scratching the surface. Tokyo is a nightmare for the indecisive, but a mouth-watering cultural feast for the ever hungry adventurer. Making a Tokyo bucket list is an ambitious feat, and while this is by no means a complete one, it’s a good start. So, time to get ready and start exploring — the city’s yours! Opened in Shinjuku in 2017, the Yayoi Kusama Museum is the first museum solely dedicated to the mind-melting world of one of Japan’s most influential contemporary art figures. 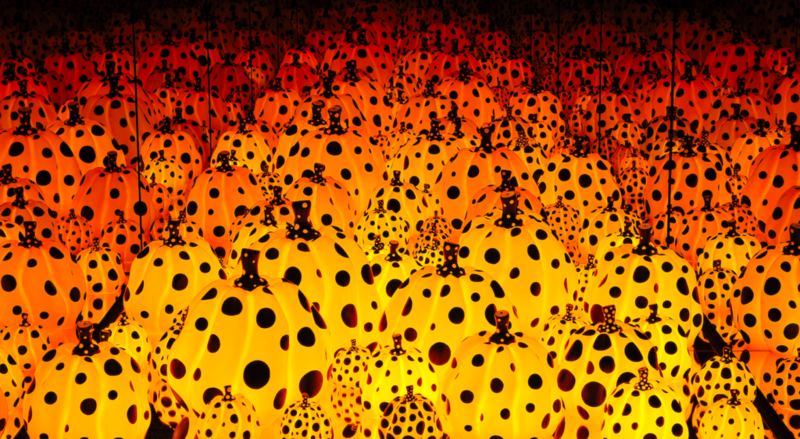 In recent years temporary retrospectives and fleeting seasonal exhibits across the globe have reignited a fascinating with the tireless, multi-disciplinary Kusama, but this one is here to stay. Exploring the more tourist trodden, futuristic neighborhoods of Shinjuku and Shibuya is naturally a given, but for something a little different be sure to pay a visit to the Yanaka Ginza shitamachi (traditional, old world) version of Tokyo. 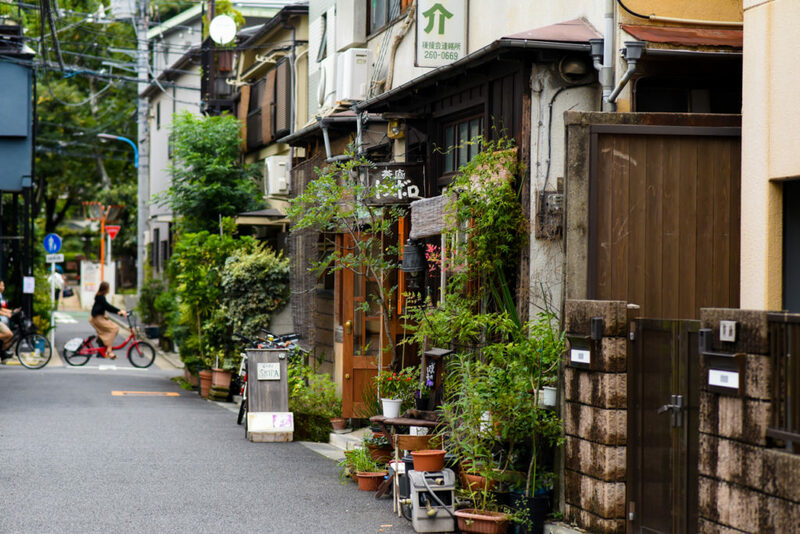 A pocket of the city frozen in time, this northern corner of Tokyo has remained relatively untouched over the past five decades or so. It’s the perfect place for shopping, lunching and time-traveling. An onsite cafe, plenty of lounge space, an endless class selection of books and record, and one of the best magazine collections you’ll ever stumble upon, saying that T-Site in Daikanyama is one of the greatest bookstores in the world is no overstatement. Three separate double story structures joined by a connecting walkway, floor to ceiling glass walls and bookshelves flooded with natural light, the only downside to this atmospheric literary haven is that you can’t live here. Positioned right behind the main drag of Harajuku’s bustling, sugar-coated street of Takeshita sits the sprawling Yoyogi Park. It may not be the inner city’s most conventionally beautiful park (that award arguably goes to Shinjuku Gyoen) but its charm comes from the fact that it’s basically Shibuya’s communal backyard. 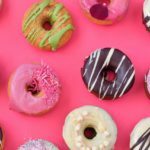 Here you’ll see everything from rockabilly crews putting on dance performances, to athletes training, to the wealthier locals walking their meticulously manicured pups, to street performers, making it an excellent place for people watching any day of the week. 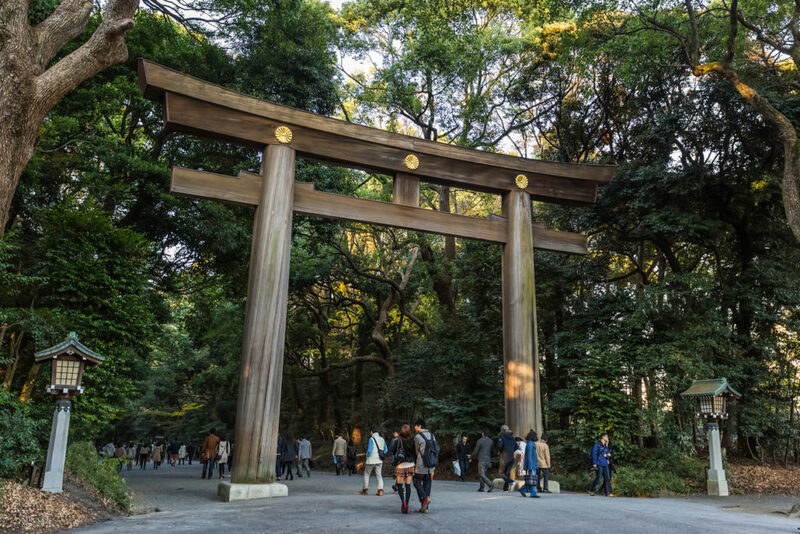 Next to Yoyogi Park sits the regal Meiji Shrine. An atmospheric juxtaposition between the playfulness of Harajuku and the eclectic crowds of Yoyogi, the path that leads up to the shrine is flanked by towering evergreen broadleaf trees which create a barrier of tranquility. Wandering through, it’s near impossible to believe you’re actually right in the center of one of the busiest cities in the world. Founded in 1920 in honor of Emperor Meiji and Empress Shoken, it often hosts a number of religious events and weddings throughout the year, so keep an eye out. In a very basic description, kabuki is to Japan what Shakespeare is to England, what Opera is to Italy, and what Broadway is to the US. The country’s traditional theater, it features elaborate costuming, a long and rich legacy and an influential role in the country’s cultural evolution. 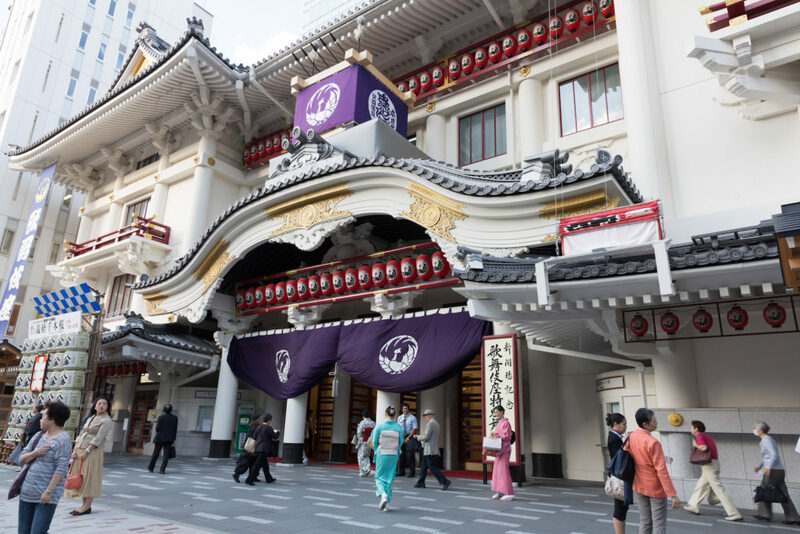 One of the best places to see kabuki is at Kabukiza Theatre in Ginza. Ginza Six is one the country’s newest and most extravagant department stores. 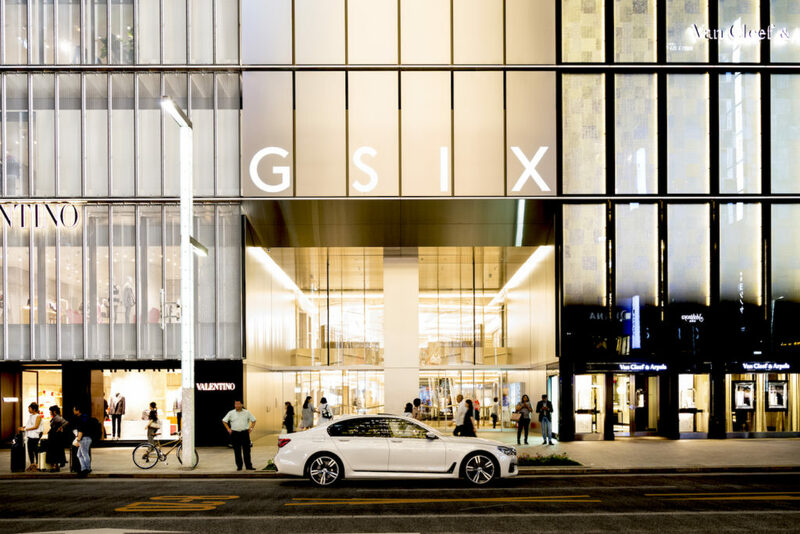 If you spend just a day in Tokyo you’ll notice that they take their shopping centers very seriously, and Ginza Six is an excellent example of that. Not only does it house some of the biggest names in the retail world, but it features installation art by natives Yayoi Kusama, Misa Funai, Shinji Oumaki, and French talents Daniel Buren and Patrick Blanc. The historical Tsukiji market relocated to Toyosu this October, putting a period to its 83 years of handling the city’s freshest fish. 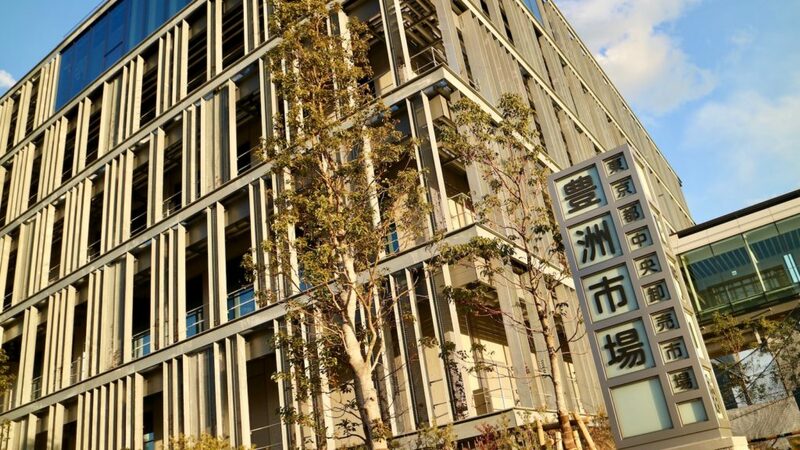 The new market, located in Tokyo’s Toyosu waterfront district, is 1.7 times larger than the original and has an enhanced sanitary management system and enclosed facilities to regulate internal temperatures. The tuna auctions will begin early next year, but unlike Tsukiji, they’ll be observed from behind the glass. 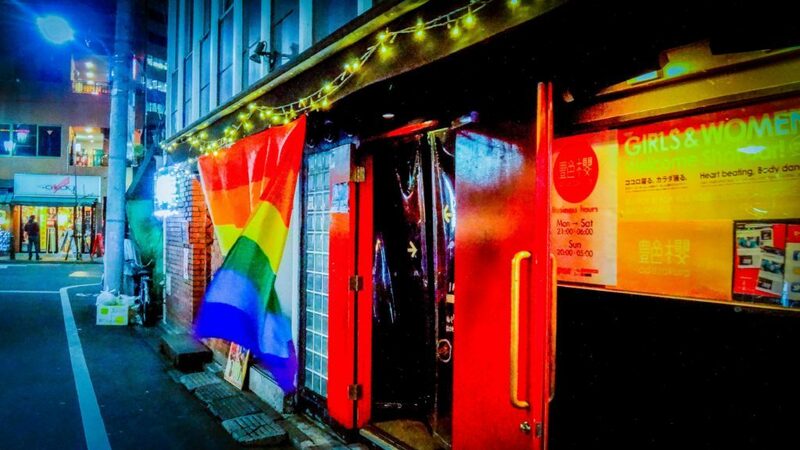 In many major cities “gay neighborhoods” seem to be a bit of a dying breed, but it’s not so much the case here in Shinjuku’s Nichome district. A weaving network of roads and laneways, this corner of inner Tokyo his home to an eclectic family of LGBT-centric bars, clubs, and dining establishments, which are open most nights of the week but get especially busy on Fridays and Saturdays. If you’re looking to explore one of city’s most vibrant party hubs, don’t miss the chance to visit. Known to many as simply the “cat temple” because yes, it has endless rows of cute kitty figurines welcoming guests with one raised paw. It’s not in the most touristy part of Tokyo, but it’s worth the journey for that perfect Instagram shot. The legend of the temple says that once during a thunderstorm, a kind cat led a feudal lord to safety by beckoning him inside with all-knowing little wave. 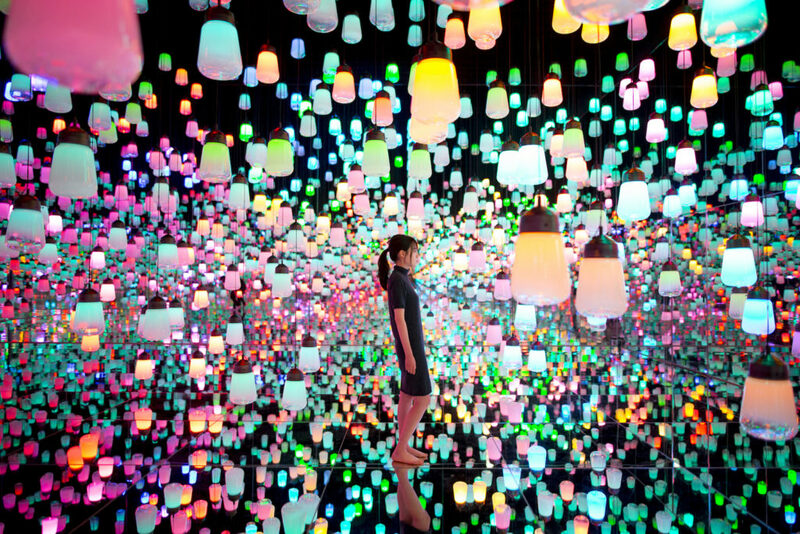 The enigmatic Japanese art collective teamLab has been wowing audiences with their immersive digital art exhibits since 2001, but they’ve never had a permanent home until now. The team’s Odaiba home TeamLab Borderless, which opened in June this year, goes beyond anything they’ve done before, completely obliterating the line between art, the digital realm, the virtual world and reality. It’s a cliché but words don’t do it justice, it truly has to be seen to be believed. Imagine a giant blue monster penguin gobbled up every electronic, cosmetic, novelty gift, supermarket lifestyle, and clothing store in the world then vomited it back up, that’s Don Quijote (‘Donki’ to the locals). This chain of stores sells literally everything you can imagine and a whole bunch of other products you couldn’t even conceptualize in your wildest dreams. They’re spilling out on to practically every corner of the city so you can’t miss it. 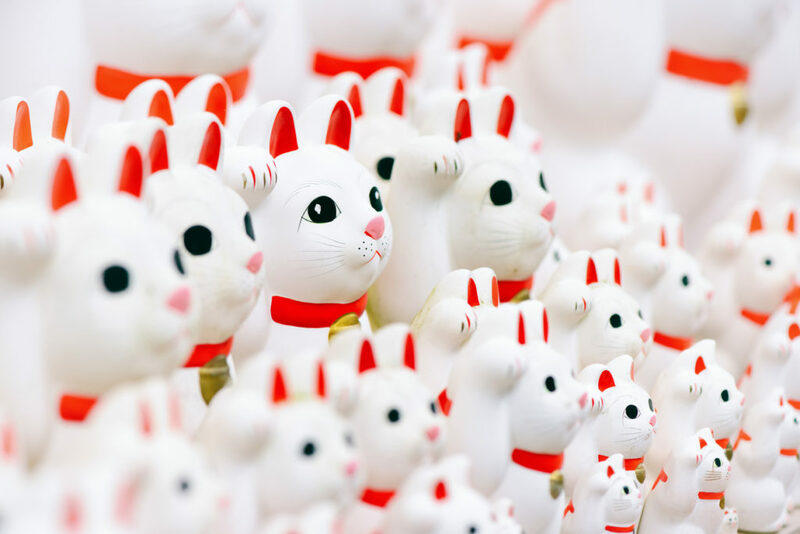 If there’s one place with more guidebook and magazine features than Tsukiji Market, then it’s got to be Sensoji Temple, but with good reason. 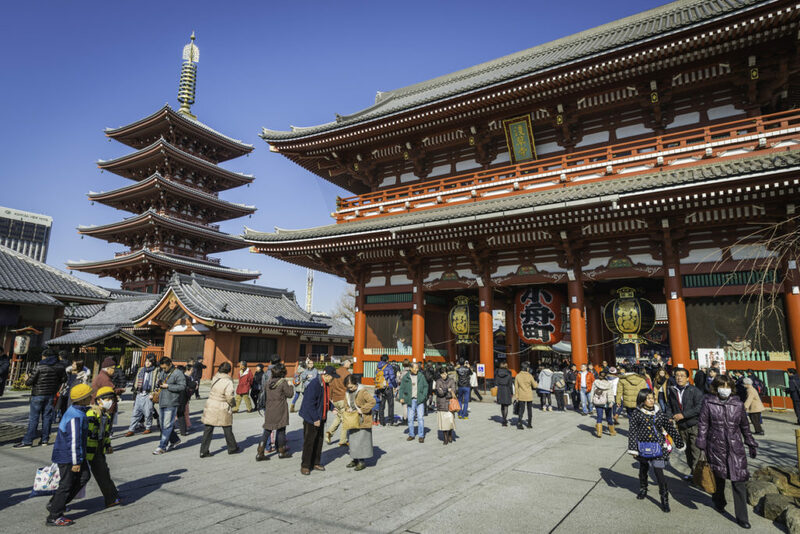 Located in central Asakusa, Sensoji is Tokyo’s oldest and arguably most striking temple. Running along the entrance of the temple is Nakamise, a shopping street filled with endless traditional trinkets, snacks and other novelty knickknacks to inspect. For a city that has a reputation for being one of the most futuristic, Tokyo still has a fondness for old technology, and Shinjuku West Exit Camera Town is a great example of that. Featuring mega outlets Yodobashi Camera and Bic Camera and countless tiny independent vintage stores, it doesn’t matter if you’re chasing the flashest new camera or a hard to get vintage find, this the place to go. Scattered throughout the city, baseball batting cages are a common sight. Patronized by salarymen letting off a little late night steam, young couples on dates, teenagers killing time, and everyone else in between, they’re a fascinating little snippet of everyday inner city Japan. They’re also a cheap hour or so of fun. 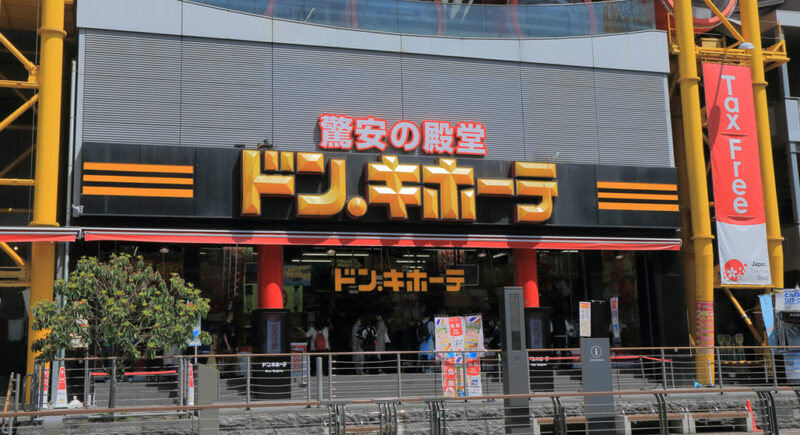 Shinjuku Batting Center in Kabukicho is one of the biggest and best. For an experience you can guarantee you’ll never have anywhere else in the world, book a table at the infamous Kagaya izakaya. It may not look like much from the outside but an evening here is guaranteed to be the weirdest you’ll have in your life. Without spoiling anything, let’s just say that armed with a lot of props up his sleeve and a whole bunch of bizarre performances in his repertoire, Kagaya Izakaya’s owner and server, Mark Kagaya will make it a night you won’t forget. A relic of “Metabolism” Tokyo’s most fascinating architectural movement built on the concept of living buildings, Nakagin Capsule Tower is a strange combination of futuristic ideology and almost forgotten history. Built in 1972, the tower is actually a cluster of 140 smaller capsule rooms which were designed by architect Kisho Kurokawa to be removable. The theory was that once a room was old or beyond repair it could be dislodged and replaced with a new one. Sadly the capsules never were replaced, however, a handful are still being used by residents and businesses. Located in Daikanyama, ArtBar is all about drinking, snacking, chatting with friends, and making new ones all while also exploring your creative side. The bar hosts regular art classes where guests of all painting abilities can come along and learn from a painting master (in English or Japanese) and enjoy a nice glass of wine. 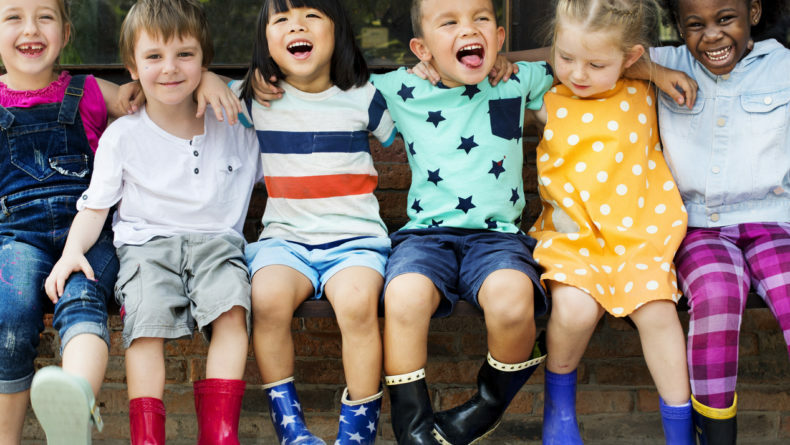 If you don’t drink, or have kids, there are also special mommy and me classes on offer too. 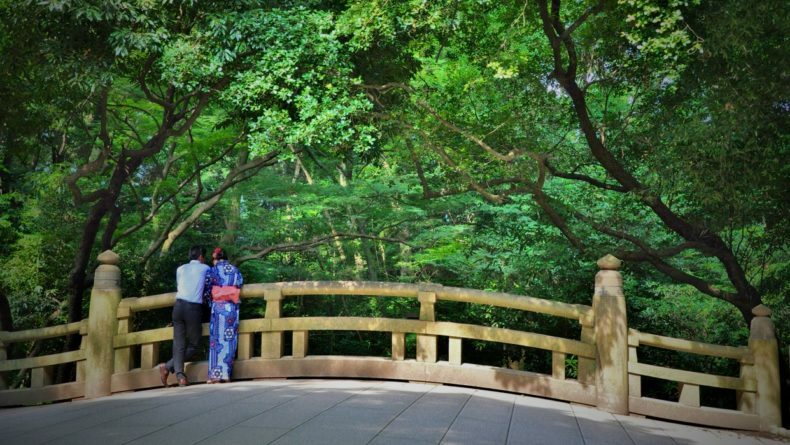 Forget about exploring the “hidden” side of Tokyo — that’s too mainstream. To really know the city, it’s time to explore underground Tokyo (literally). 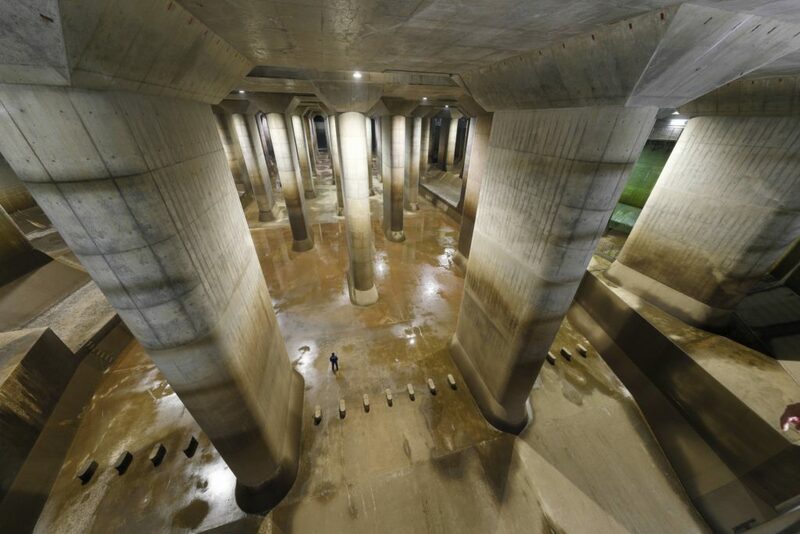 The Metropolitan Area Outer Underground Discharge Channel is the city’s anti-flood system. 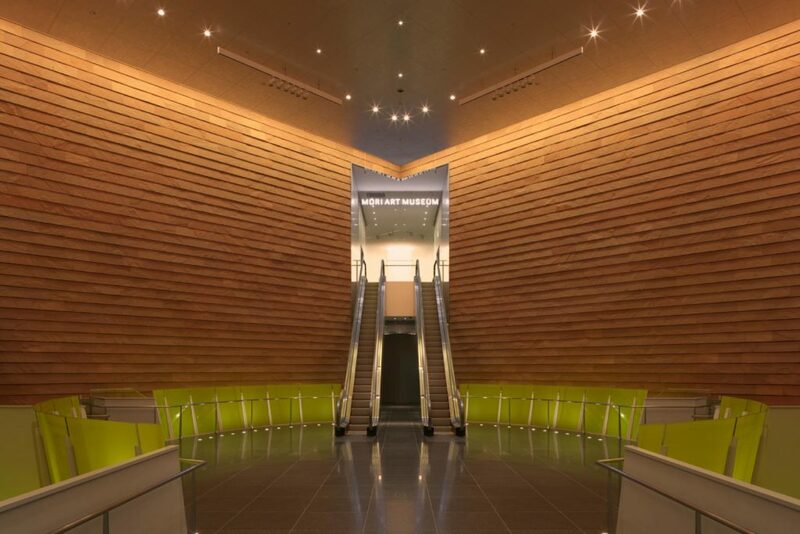 It may sound boring, but its architecture is completely out of this world. Looking like a labyrinthine network of futuristic tunnels and temples, it’s a fascinating side of the city most people will never get to experience. A matsuri is Japan’s more traditional version of a street party or mardi gras. Centered around food, music, costumes, booze, and just generally having a great time it’s one of the city’s most exciting attractions. During the tail-end of July and throughout August is when most of Tokyo’s matsuri are held, but there are a few that happen outside this window. 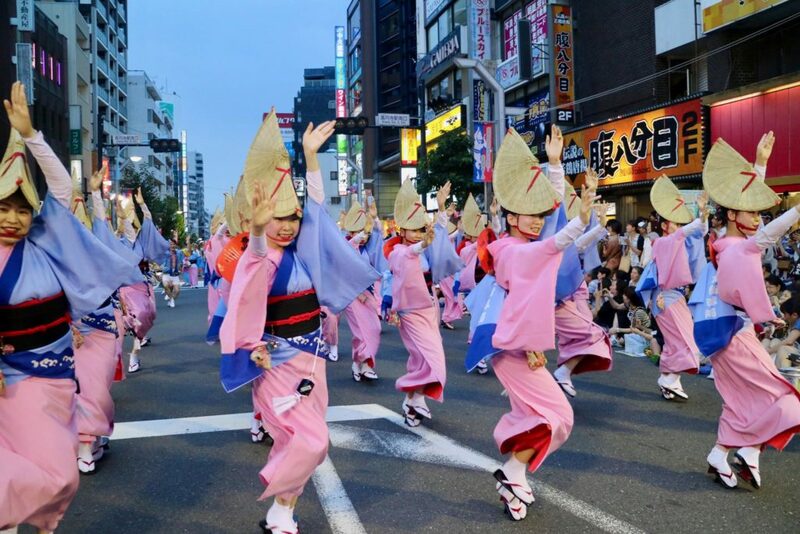 Some of the biggest include the Koenji’s Awaodori Festival (late August), and the alternating Sanno Matsuri and Kanda Matsuri (mid-May). There is no other nation with a fondness for trains as intense and passionate as Japan. 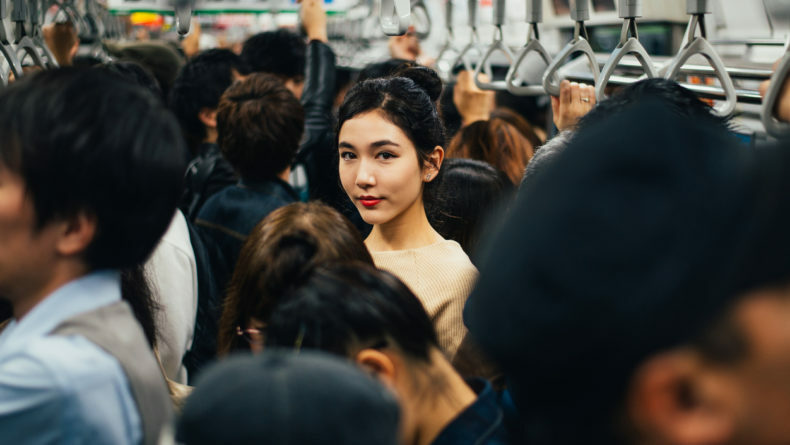 The country has the best rail networks in the world, and it’s the main form of transport for most of Tokyo’s population. After cracking the code of the city’s at first daunting but actually expertly engineered train network, you’ll probably be a little obsessed too. Embrace your train geekdom at the Railway Museum, a facility dedicated to the love of the locomotive located not technically in Tokyo, but quite close. It features models, dioramas and real-life trains. Once you’ve been here you’ll never look at public transport the same. In a city that’s as tiring as Tokyo, locals need a good way to wind down, and many will agree that the perfect remedy to a long day is a long soak in one of the city’s many public baths. For those with tattoos, onsen bathing can still be a little of a social minefield. To play it safe, it’s best to visit Mannenyu, located between Shin-Okubo and Shinjuku, it’s stylish, traditional and tattoo-friendly. For other recommendations of tattoo-friendly hot springs, see this article. For recommended onsen-style spas in Tokyo, see here. Designed to mimic the atmosphere of Hong Kong’s Kowloon Walled City, this dystopian arcade is fascinating even for those who have never played a video game in their life. A retro-futuristic-cyberpunk network of seedy alleyways and dimly lit corners, stepping into Anata No Warehouse feels like stepping into a completely different world. 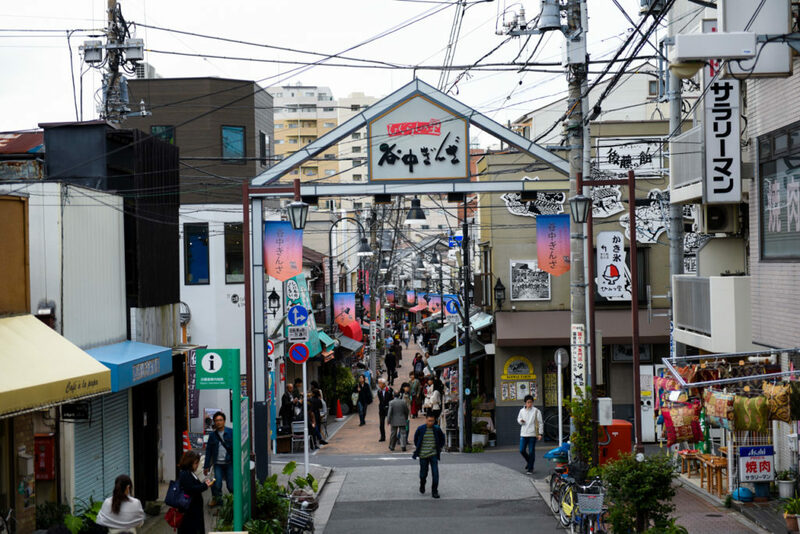 The trendy inner-city neighborhoods of Shimokitazawa and Koenji (pictured above) do two things extremely well: live music and thrift shopping. About a 20-minute train ride from one another, these two pockets of the city are home to endless second hand and vintage clothing outlets run by extremely well dressed and passionate local staff who will be more than happy to help you hunt down that hard to find a piece or sniff out a bargain. In need for high-quality caffeine? Take a stroll just 15-20 minutes north of Shibuya crossing, past Don Quijote, heading towards Yoyogi Koen Station and you’ll find Shibuya’s hidden coffee hub, which feels worlds away from the manic energy of the station. Over here you’ll find some of the city’s most loved coffee shops Fuglen, Coffee Supreme, Camelback, Yanaka Coffee, and Little Nap all within about five-minute radius. One of the more traditional beer houses you’ll ever find yourself in, Yanaka Beer Hall is nestled between a bakery and community hangout within the walls of an 80-year-old classic shitamachi (old Japanese style) house. 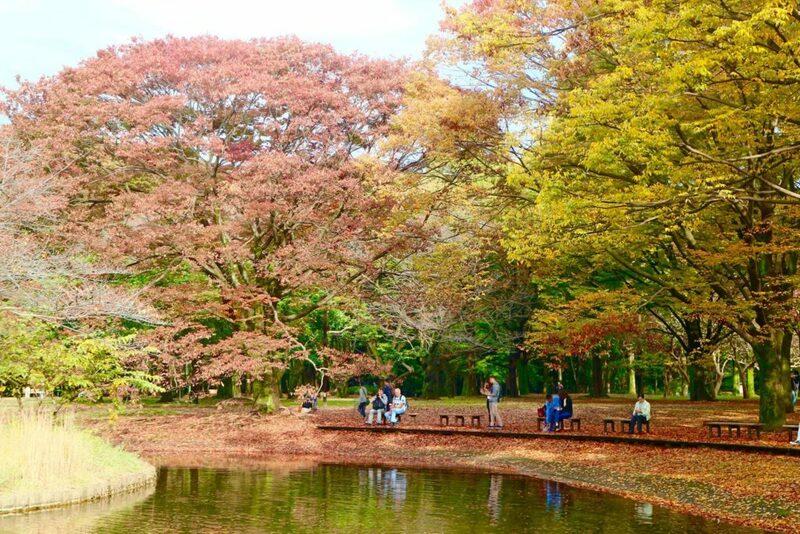 A little residential and peaceful for Tokyo, this could easily be your new favorite local. 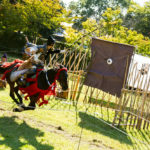 In the early 11th century, the country gave birth to what is generally considered the world’s first ever novel The Tale of Genji. Since then, Japan’s passion for the written word has never wavered. 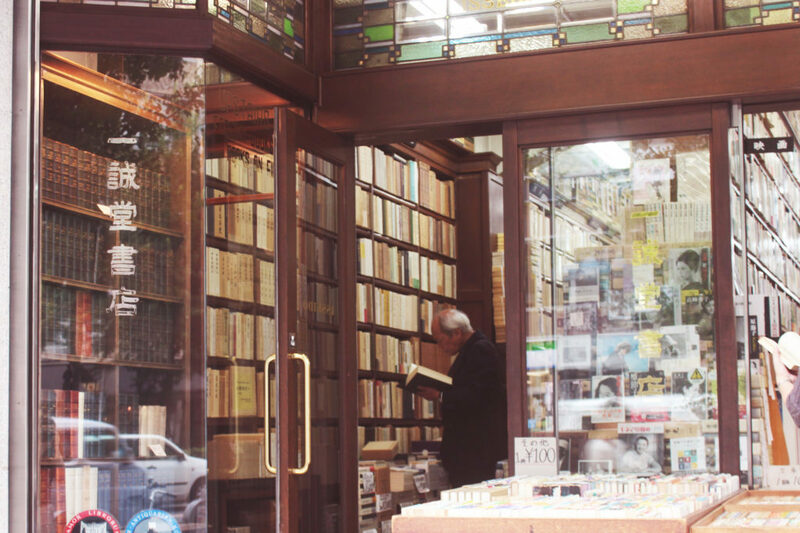 One of the best places to explore the nation’s love affair with the written word is by visiting Jimbocho — aka “book town.” The area is home to a reported 160-200 stores with book spilling onto the streets. Although most of the offerings here are Japanese, you will find a few English titles, too. 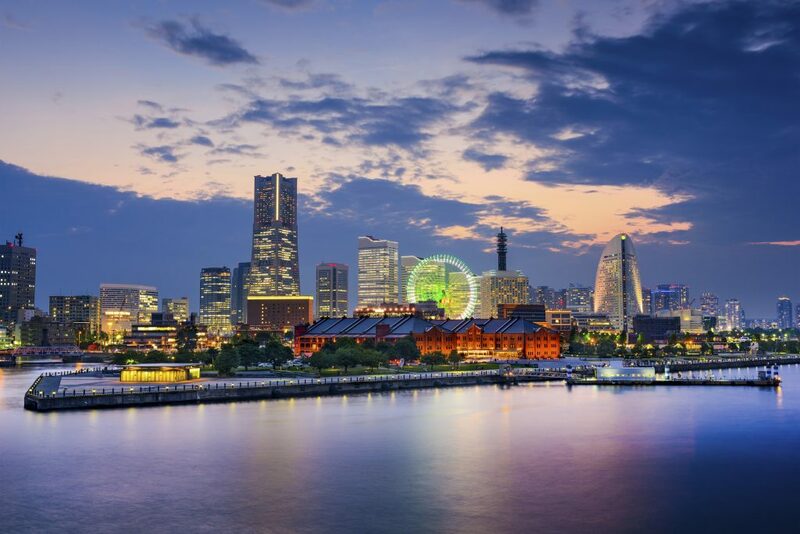 Yokohama is Tokyo’s beautiful portside sibling and the second largest city in the Kanto region. From Shibuya, you can get there in about 30 minutes on an express train making it an easy day or half day adventure. Yokohama is home to the Cup Noodle Museum, the scenic and popular date spot of Minato Mirai and a vibe that’s little more laid back than Tokyo. 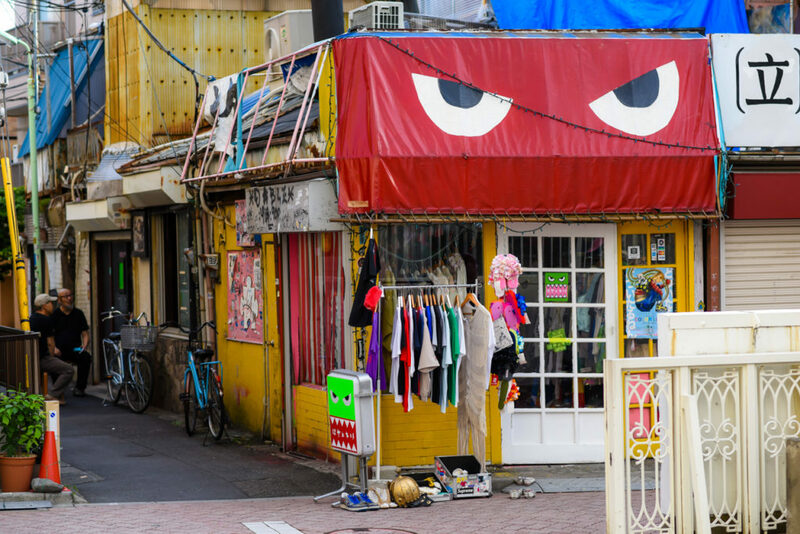 Hop off the train at Nakameguro Station to explore one of Tokyo’s trendiest hangouts. Nakameguro is a little more high-end than its thrift store populated contemporaries Koenji and Shimokitazawa, but you will find a few vintage stores, and fashionable boutiques scattered around the area if you’re in the mood for shopping. 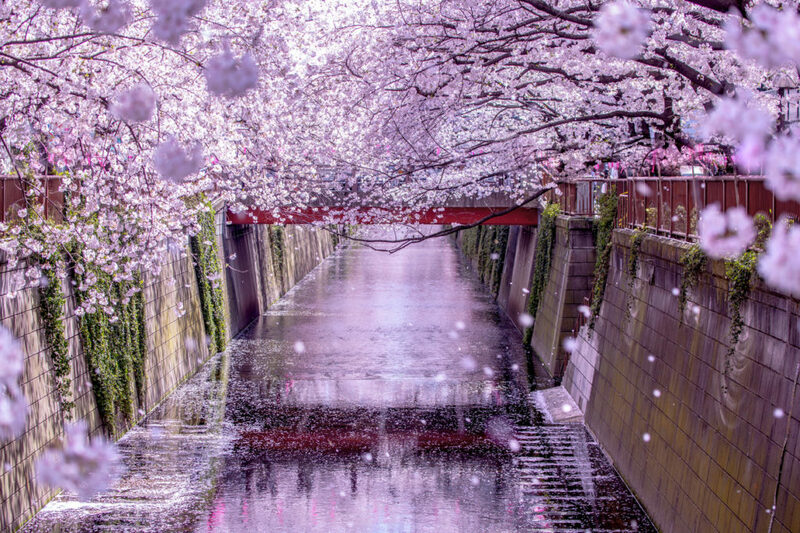 The best way to explore is to follow the Meguro river which cute straight down the middle of the neighborhood and is incredibly stunning in spring when the cherry trees that run down either side come to life. Disneyland and DisneySea are usually on most tourist to-do lists, because simply, they’re stacks of fun. If you’re having trouble deciding between the two there are package deals for consecutive visits. If you’re having trouble differentiating between the two, basically Disneyland is all about the rides while DisneySea is a little more adult (you can even buy alcohol, wow!) and is more about the attractions. It’s also the only DisneySea in existence. Technically in Chiba, but it still has Tokyo in its official name! The neighboring suburb to Shinjuku, Shin-Okubo may get missed by those sticking to the main attractions but it’s definitely worth a visit, especially if you like to eat (wait, who doesn’t?). Known to the locals as “Little Korea,” it has the densest population of Korean style restaurants, BBQ places, bars and beauty outlets. It’s a little grittier than other parts of the city, but that’s all part of the fun. If you’re going to try a classic Japanese breakfast, best to do it properly and pay a visit to Yakumo Saryo. Hidden away in residential Meguro, this restaurant is famous with those in the know, but a well-kept secret from everyone else. Created by Shinichiro Ogata, the restaurant also serves dinner and lunch, but breakfast (reservations recommended) is the best way to start the day. Understated Japanese culinary genius at its very best. 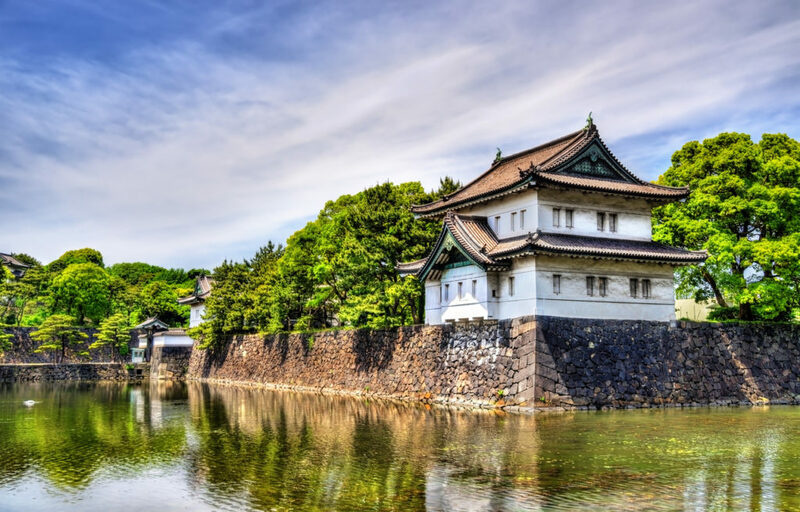 The former site of the Edo Castle and the current home of the longest serving hereditary monarchy in the world, Imperial Palace is impressive both historically and visually. Join the day-long parade of joggers and take a lap around the ground to appreciate it from every angle. If you want more, guided tours of the palace grounds run between 10 a.m. and 1:30 p.m. every day except Monday and Sunday. 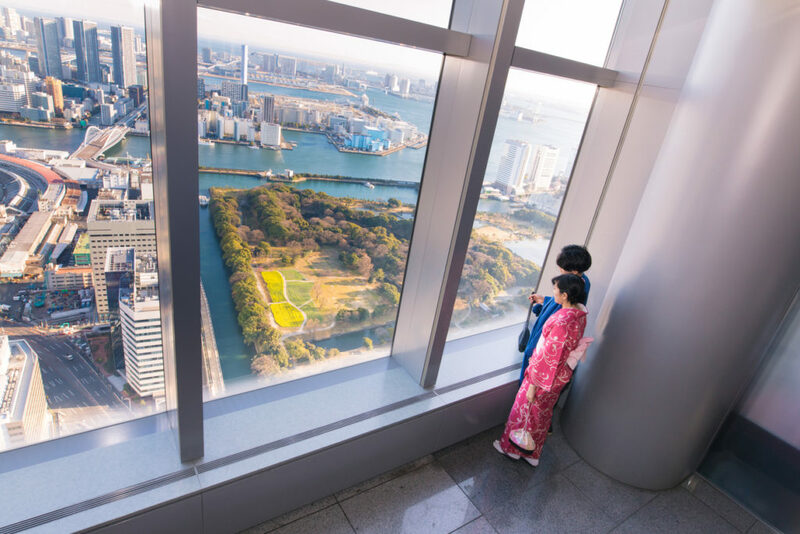 Located in Roppongi Hills, Mori Art Museum is one of the best museums in the city, with an incredible panoramic 52nd-floor view of the city to boot. It doesn’t have a permanent collection but hosts a rotating roster of meticulously curated, typically Asian art-centric exhibits all year round. An effortlessly sleek bar that specializes in offering some of the most mouthwatering seasonal cocktails in the city at a price that won’t blow out your budget, Ishinohana is a very adult treat. Just one minute walk from Shibuya Station, the bar’s atmosphere is sophisticated but not intimidating at all. If you can’t decide, go for a Claudia — a house special that’s a martini with pineapple juice and caramel syrup. 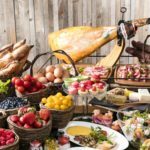 If the abundance of options is getting too much and you just need a break, then head to Out, the restaurant where all the hard dinner decisions are made for you. 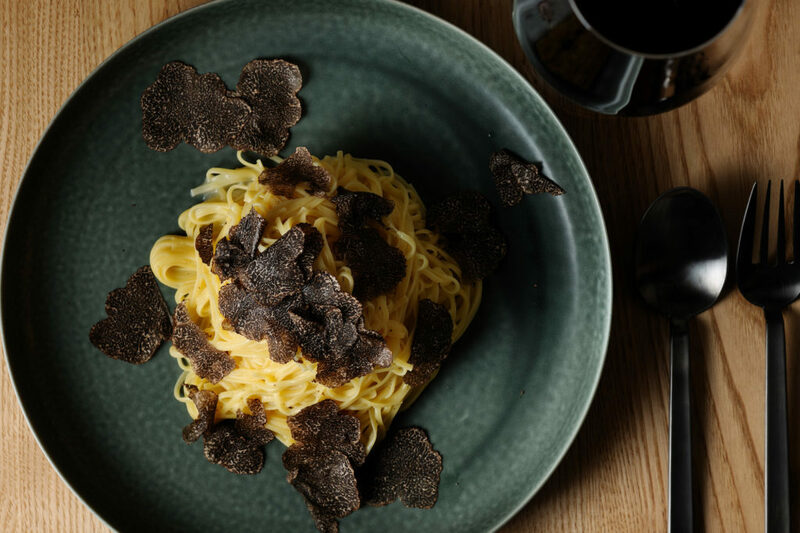 A wine and truffle bar, Out offers a very limited menu: one wine, one dish (truffle pasta), and music by one artist, Led Zeppelin. Easy. Toys, tech, collectibles, trinkets and everything in between, Nakano Broadway is a shopping haven especially if you’re into the nerdier side of Japanese culture. Although it’s long been more of a local hangout (Nakano is one of the most densely populated inner-city neighborhoods in Tokyo) it’s often compared to the otaku (geek) hub of Akihabara. If 109 is Shibuya’s youth fashion hub, then the Beams flagship is Shinjuku is the cool, more understated contemporary. The mega outlet is spread across a rather overwhelming six levels in total and houses everything from a coffee shop to home goods, to the stylish clothing that made them so popular in the first place. If you have champagne taste but are traveling on a house-wine budget, a visit to RagTag is sure to satisfy the designer goods cravings. It’s a vintage store that specializes in hard to find, and designer pieces. 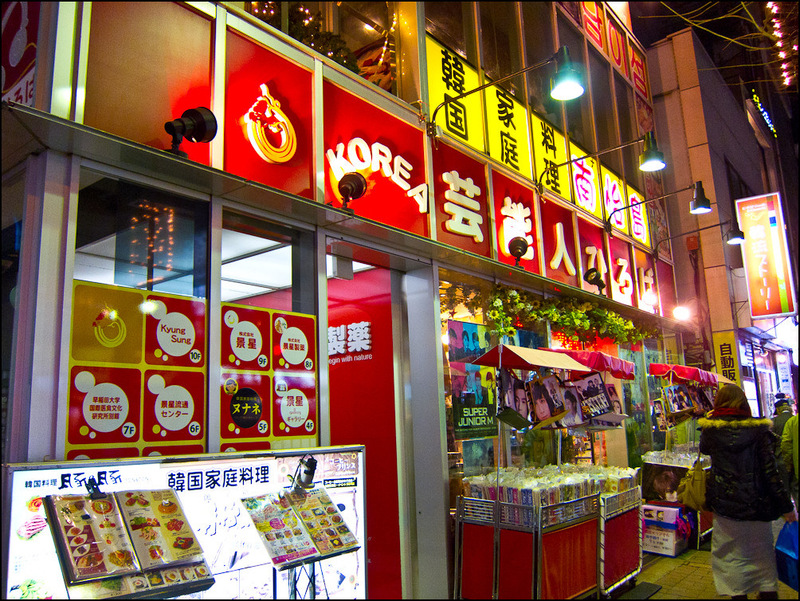 They have outlets across the city including Shinjuku, Shibuya, and Setagaya. For a city so homogeneous, Tokyo has a lot of “little” countries: there’s Shin-Okubo (little Korea), Daikanyama (little Brooklyn), Jiyugaoka (little Europe), and Kagurazaka (little France) just to name a few. 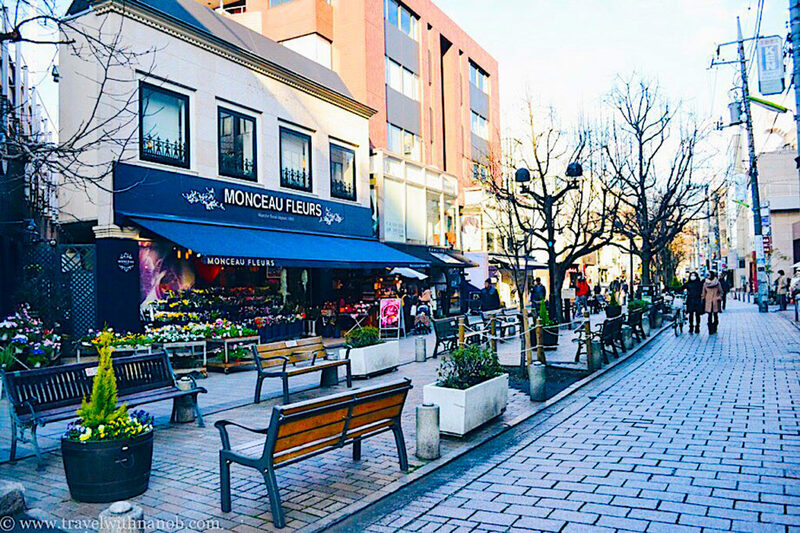 Kagurazaka is an excellent afternoon strolling destination with its streets lined with quaint cafes and restaurants and speakers playing French music to add to the ambiance. It may feel a little kitsch at times, but it’s still a lot of fun. 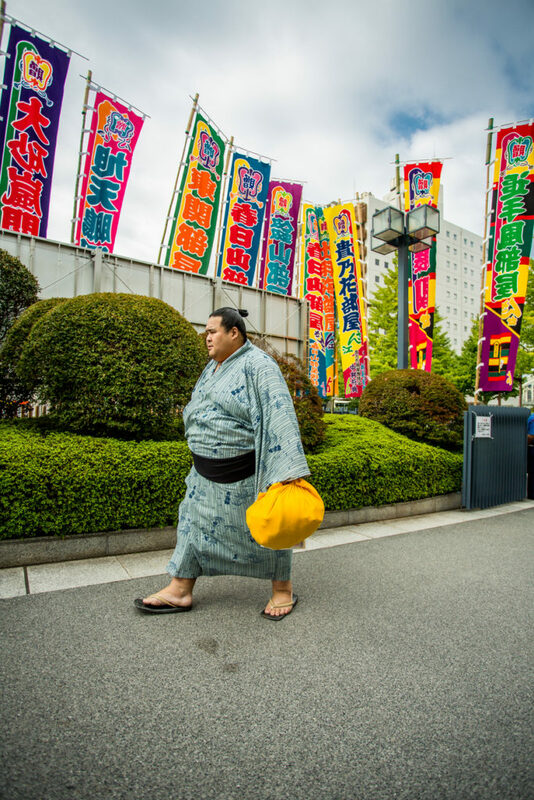 Even if you’re not in town in time for the sumo tournament season, there’s a good chance you can spot one of these larger than life Japanese icons in the flesh if you know where to go. Head to Ryogoku, east of Sumida River, to take photos alongside the rikishi (sumo wrestler) statues and pay a visit to Kokugikan Sumo Hall and Museum. Chankonabe is a hearty stew typically eaten by sumo wrestlers in the area, so if you still haven’t seen one pop by a local nabe restaurant for a bite to eat and to try your luck. 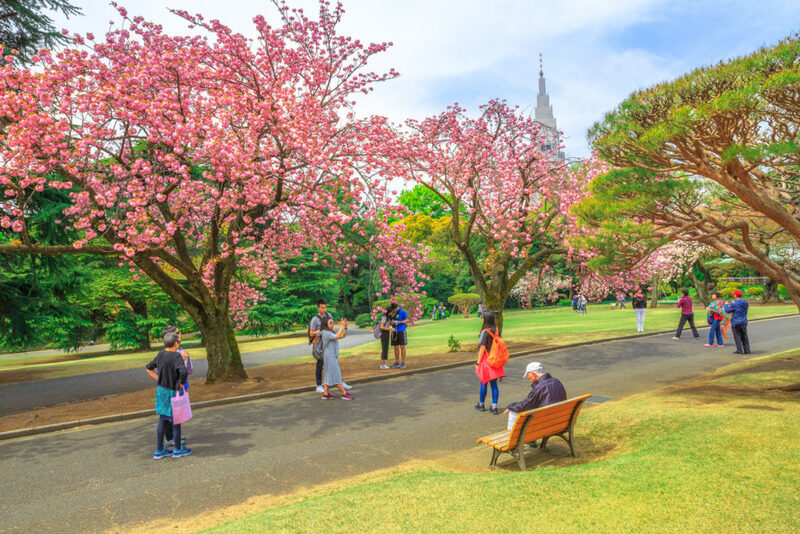 Shinjuku Gyoen is one of Tokyo’s most “everything” parks: most beautiful, popular, well landscaped and biggest. It was originally built as the feudal lord’s residence, but then passed through hands until it was opened as a public park in 1949. 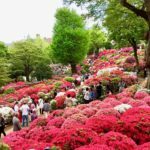 Shinjuku Gyoen has a Japanese landscape garden, French garden, English landscape garden, and greenhouse which are all beautiful year round but particularly stunning in spring when the grounds come alive with soft pink cherry blossoms in full bloom. Popular with teenage girls and tourists alike, purikura is the general name given to the super kawaii (cute) teeny tiny photo stickers you can get of yourself from the ubiquitous photo booths that line the streets of Harajuku and other youth hubs of the city. It does seem strange that in a day and age of Instagram photo filters and everything these are still popular, but no app can replicate the fun of posing for silly photos with your friends. It doesn’t really matter what sport you’re into, the atmosphere of a live sporting tournament in Tokyo is unlike anywhere else. The tension that builds in a crowd Japanese sports fanatics, is palpable. Two of the most exciting sports to see are baseball (Japan is crazy about baseball) or surprisingly, wrestling. New Japan Pro Wrestling is one of the biggest wrestling programs in the world, second only to WWE. Put aside any preconceptions you had about the sport, wrestling in Japan is enjoyed by spectators of all ages, genders and walks of life, it’s a theatre of spectacle, excitement, storytelling and incredible costumes. Tokyo Dome is one of the best places to watch baseball. There’s no better place to pick up some skills in the kitchen than in one of the best culinary cities in the world. 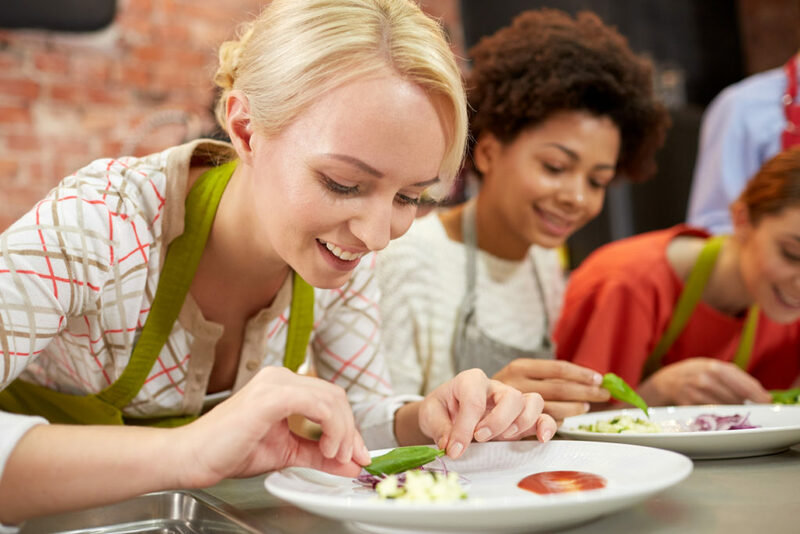 Whether you’re wanting to upskill, try homestyle cooking or are looking for vegan options, cooking classes in Tokyo cover all the bases, no matter your taste. Here’s a guide to some of Savvy’s cooking class tips. Tokyo Tower and Tokyo Skytree are a lot of fun, so this is not to say don’t go if you already made plans, but the city is dotted with plenty of other less populated observatories that are also free. The Tokyo Metropolitan Government Building (Shinjuku) is one of the most popular, while Asakusa Culture Tourist Information Center (Asakusa) and Caretta Shiodome (Shiodome) also offer some rather spectacular cityscape views. Nobody obsesses over their pets quite like the residents of Jiyugaoka. This Europe-inspired, little more high-end neighborhood is home to pet clothing boutiques which actually look a lot more sophisticated than many of the human clothing boutiques you’ll find in most other cities. Toy poodles in tutus, dachshunds is dashing suits, and chihuahuas getting pushed around in custom strollers, it’s a parade of the cute and the weird. Monster cafes, maid cafes, buff men cafes, butler cafes, J-pop idol cafes, and cafes where you can get a selfie printed onto the foam; Tokyo loves a coffee and a show. Where you go really depends on what you’re into — if you’ve thought of something, chances are it exists, just google it. Japan has plenty of fresh modern, western inspired coffee places, and even more novelty cafes. But if you want to get back to the basics, a kissaten (traditional cafes) is what you’re after. 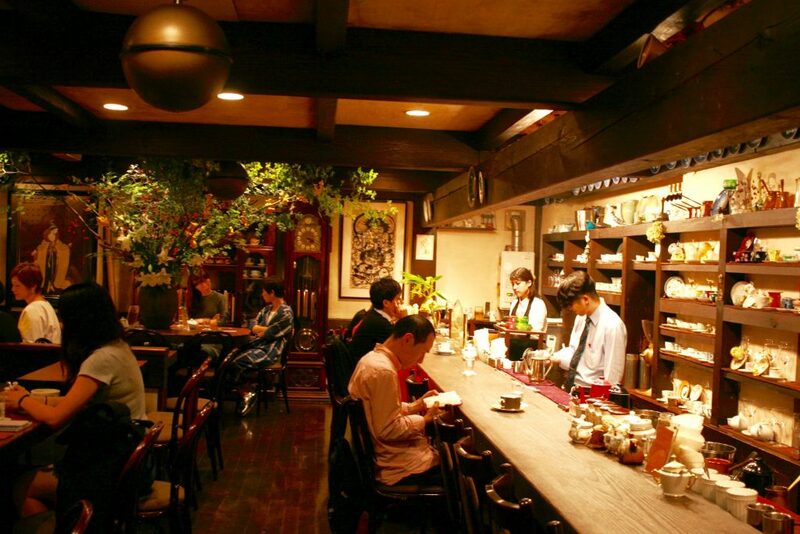 Once a staple of the Tokyo social scene, a kissaten is an old style tea and coffee house that originated in Japan. Typically blending the tea making inspired style of drip coffee with a quiet (often smokey) dingy atmosphere, a kissaten is a uniquely Japanese way to enjoy a perfectly roasted bean. A five-minute stroll from Shibuya crossing, head Chatei Hatou for the most easily accessible, authentic kissaten experience. 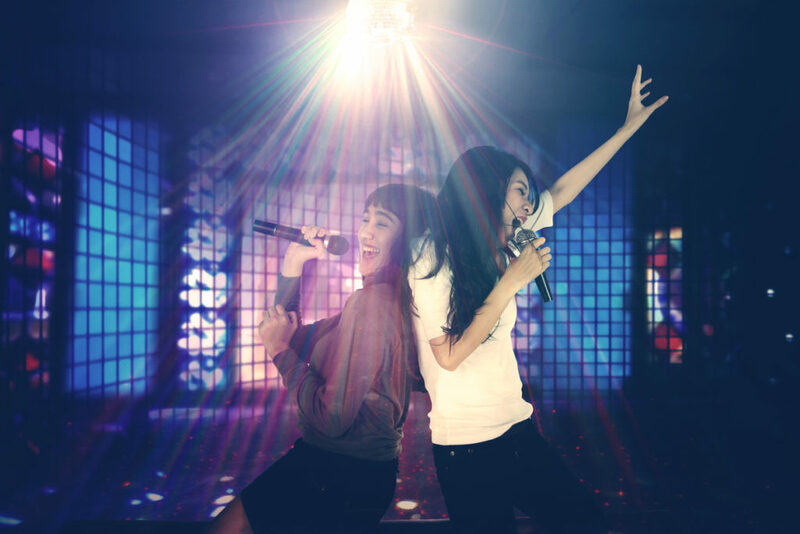 Karaoke in Japan is basically a national sport so to visit Tokyo and not partake is basically a punishable crime. Luckily, booking a booth in the city in incredibly easy, with karaoke chains lining almost every major street. Some easiest places to book if you don’t speak Japanese are the main chains which include Utahiroba, Karaokekan, Big Echo and Shidax. Add your tip so that we can make this a Top 100 list! List your choices in the comments below. Sick of meeting your date at the local izakaya?